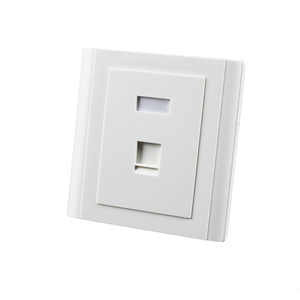 8 YRS Shenzhen NEX Cable Co., Ltd.
5e modular wall plates can easy to install 1) Single and double port face plate 2) Fit RJ45 keystone 3) Specification: standard 4) Applications: application: networking rj45 wall plate 1)The wall face use English wall plate 2)Cat.6/Cat. 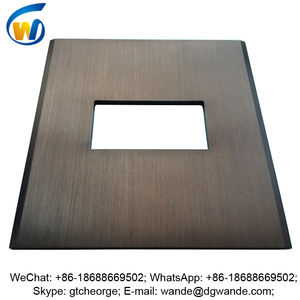 , Ltd will continue to be a people-oriented and faithful supplier, offering technical support and good customer service. For more information, please visit our website or contact us directly with your questions or inquiries. 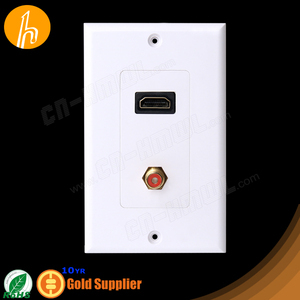 Good sale Cat5e/Cat6 keystone jack rj45 network hdmi faceplate A removable protective shield separating the inner workings of a machine from operator and observer. The flush edge makes it easy to install and disassemble. ,Ltd has been a professional manufacturer of Network Cables,CCTV Cables,Telephone Cables,Optical Cable and all the network cabling system accessories for over 10 years. 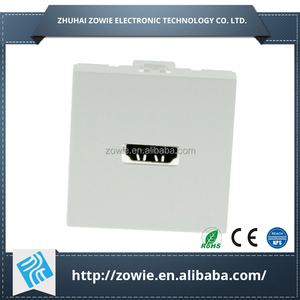 About us: Focan Electronic Factory located in an electronic production base, enjoying convenient transportation. Our company has an advansed technical team, perfect quality assurance system,so as to we can provide customers with high quality and efficient service. In the principle of &ldquo;Credit, Innovation&rdquo; and the tenet of &ldquo;Survive by Quality, Develop by Profits&rdquo;, we are willing to serve widespread customers with competitive price, reliable quality and fine service. 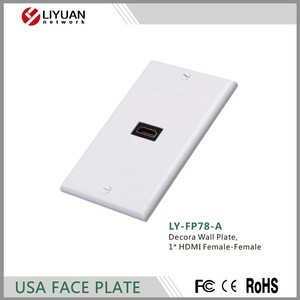 Alibaba.com offers 447 hdmi face plate products. About 61% of these are telecom parts, 8% are wall switches, and 4% are connectors. 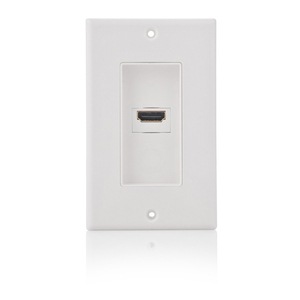 A wide variety of hdmi face plate options are available to you, such as free samples, paid samples. 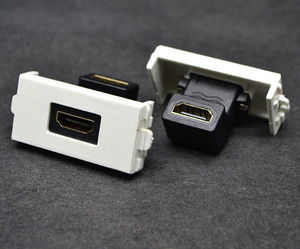 There are 447 hdmi face plate suppliers, mainly located in Asia. 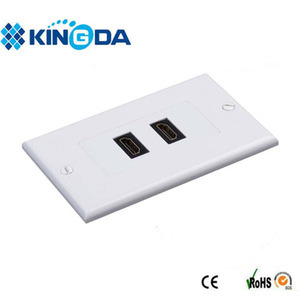 The top supplying country is China (Mainland), which supply 100% of hdmi face plate respectively. 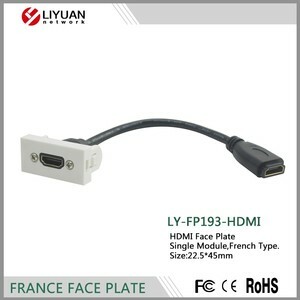 Hdmi face plate products are most popular in North America, Eastern Europe, and Western Europe. You can ensure product safety by selecting from certified suppliers, including 97 with ISO9001, 49 with Other, and 28 with ISO14001 certification.